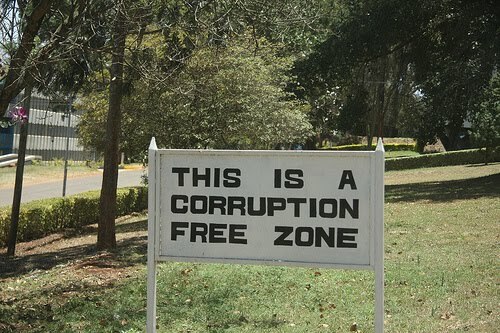 Corruption is not in for Indians or not for this world. So today I will be remembering and writing here the list of corruption which happened in India since Indian Independence. If you find any facts wrong please let me know. British throne passed the Indian Independence Act after that India got the freedom. Not like Egypt where President Mubarak ran away. After Independence British people left the India and Indian Throne was empty. Our Indian people sat on that throne and started to rule India using the same rules and books which were made for the slave colony of India by the British king. Difference between American and Indian scam corruption cases is that in America rich or politician both go to Jail and India if you are rich and politician you will not go to jail in your prime age. Suppose Mr. P robs the bank at the age 20 and he goes to jail at the age of 50 what is the use of such justice? If Mr. P gets the kickbacks at between age 30 to 45 and then he goes to jail at the age of 70 or 75 what is the use of such justice. Thus there is no justice in India, Indian democracy is failed and we are living in Mobocracy. Let’s start our Journey of knowing famous important Indian corruption and scam cases starting from Year 1948. - V K Krishna Menon was India’s commissioner in London His name was linked with the scam, the name of the scam was Jeep Scam. Indian government had placed an order for 2,000 jeeps with a London-based firm that had false credentials. While most of the money was paid upfront, just 155 jeeps landed. Later Krishna Menon became Prime Minister Jawaharlal Nehru's trusted ally and the defense minister. 1958 – Indira Gandhi’s Husband Firoz Gandhi exposed the scam. Finance minister T T Krishnamachari, finance secretary H M Patel, LIC chairman L S Vaidyanathan, are some of the names were linked to this LIC scam or scandal. In 1959 Ramakrishna Dalmia, chairman, Bharat Insurance Company, was arrested for misappropriating around Rs 2.2 crore from the company and sent to jail for two years. In 1960, businessman Dharma Teja managed to get Rs 22 crore loan from the government to start a shipping company, and then siphoned the money out of the country. He was arrested in Europe and jailed for six years. In 1965, Orissa chief minister Biju Patnaik (chief minister Naveen Patnaik's father) was forced to resign after it became known that he had favored his privately owned company, Kalinga Tubes, in awarding a government contract. 1970 – Nagarwala Scandal – Regarding this scandal information is not clear and everything is hidden or unexplained. It is said that Nagarwala impersonated the prime minister on the phone and got State Bank of India to give him Rs 60 lakh. Both Nagarwala and the police officer who investigated the case died in mysterious circumstances soon after. 1976 – Oil Scam – The scam is linked to Indira Gandhi and Sanjay Gandhi. A $200-million contract was awarded to the Hong Kong-based Kuo Oil Co to take future deliveries at current prices. The government lost Rs13 crore. It was reported that indirectly money went to Indira and Sanjay. 1980 – THAL Vaishet project scam - In 1980 petroleum secretary H N Bahuguna, N N Kapadia, petroleum minister P C Sethi and K P Unnikrishnan were accused in a scandal where a consultancy contract for the Thal Vaishet project was awarded to a subsidiary of Italian Snamprogetti in violation of laid down-norms. 1981 – Maharashtra Cement Scam Scandal – Maharashtra Chief Minister A R Antulay linked - It was reported that Maharashtra Chief Minister A R Antulay gave Public consumption Cement to Private builders , companies favored them. How much profits which company and who made I did not find information. Did he got the kicksbacks? 1987 - Bofors Scam – Person Linked Rajiv Gandhi - Rajiv Gandhi and others were accused of receiving Rs 64 crore in payoffs for the 155mm howitzer deal from the Swedish-firm-Bofors. 1991 – Jain hawala case - L K Advani, V C Shukla, C K Jaffer Sharief, Arif Mohammed Khan, Madan Lal Khurana, Kalpnath Rai, N D Tiwari and many others were accused in the Rs 64-crore Jain hawala case. 1991 – Harshad Mehta Scam – Using the Loopholes of law Mehta, SBI, NHB, Grindlays, Citibank and Stanchart were all accused of having played a part in the Rs 10,000 crore securities scandal. 1996 - M Gopalakrishnan, former chairman and managing director of Indian Bank, and others were accused of having sanctioned huge loans totaling Rs 1,500 crore to companies without obtaining adequate-collateral-security. 1996 – Telecom Scandal - Sukh Ram was charged with accepting kickbacks from a number of telecom companies in exchange for special favors. About $1 million in small-denomination rupee notes was found in the homes of Sukh Ram. Runu Ghosh, a senior official in the Department of Telecommunications (DoT), was arrested on corruption charges, including having allegedly favored telecom equipment manufacturer Advanced Radio Masts Ltd (ARM) in purchase contracts. Chain Roop Bhansali's CRB – 1000 crore Rs. Mutual Fund, Banks he got licenses. He got good credit ratings and audit ratings. CRB created a pyramid based on high cost financing, which finally collapsed. But no one was punished. Tree Plantation Scam – Invest in one teak tree and become crorepati, earn 1000 times more were the advertisements but today all the companies are vanished and common man lost the money. Do you know any one who got paid for investing in Tree, Do you even know any one went to Jail for doing this scam. 23.Year 2002 – Ketan Parekh Share scam – Manging stock and share prices. 52.Tatra truck Scam - The scam was estimated at Rs 750 crore. We Indians behave like the 3 monkeys of Gandhi. The above list is not complete . With your permission, I will use the picture in this post in my post too. The pic is under reuse policy so anyone can use it. that's really a big effort put by you, keep working on it. And the ultimate truth is not at all hidden from us, ie. its India or outside, taking bribe or rather being corrupted is all within us and we feel like full of guts, it has simply become the backbone of our society. so we shouldnt 'say jai ho', cuz its next to an insult for our motherland. Your last line has touched me. we Indians follow the Gandhian principle of " Don't see/ hear/ speak evil" only when corruption is taking place in top level political circles while we raise cue and cry for petty bribes in lower levels. I have given this link in my blog to my study reference. Once have a look. Give your comment over there. If you think it violates, I remove. lets do something to change the system. I want to punish all type corrupted person becose they are very dangers person . Root cause of corruption in India is dirty politics and vandective politician.Weak laws and directionless set up always helpless to trap the high profile indulger in the business.No one has the right to raise this issue, as politician says they are elected.It gives them limitless powers.They even dont care the general public.What will be the future of India........? Hi u have a good job. Our country or entire world is being ruled by the " Free Market / Open Market " - policy. This theory creates free movement of CAPITAL, which is now known as FINANCE CAPITAL. This will invite automatically a stiff competition amongst the investors & every one trying to increase profit, more profit, more & more profit ... to endless greed. So in this process accumulation of MONEY will be generated to few investors, which in turn will generate corrupt people with increasing process. So it happened in India also. Root cause , I've mentioned in short on another chapter, just now. The entire society will be changed one day, obviously. So with the change of society the process will be clipped & such anti human process will be automatically curved. This is what I'm telling is in continuation of my previous comments. This is also a phenomenon of "Social Change" - a Philosophy. One may agree or not, but it is my realization ( not faith )based on " Dialectics of Social & Historical " theory. what's the naxalites doing . i feel the naxalites should take initiative to punish, rob off all the money valuables and leave the scammers without a penny. this shall cetainly crate a fear among the persons who want to do scam. This is the Most Unfortunate thing that We have so much big list of Major Scams since 1947. This is Really Shameful for all. Y S Jaganmohan Reddy Scams?